There’s nothing quite like those first glorious signs of spring. When opening up the windows lets in a cool, clean breeze, filling each room with a fresh smell of wonderful things to come. When a simple walk outside is like a delicious treat you’ve been saving for a special occasion. The sun is brighter, the air is clearer, life is good. Even our taste is heightened. We’re drawn to fresh, clean flavors. 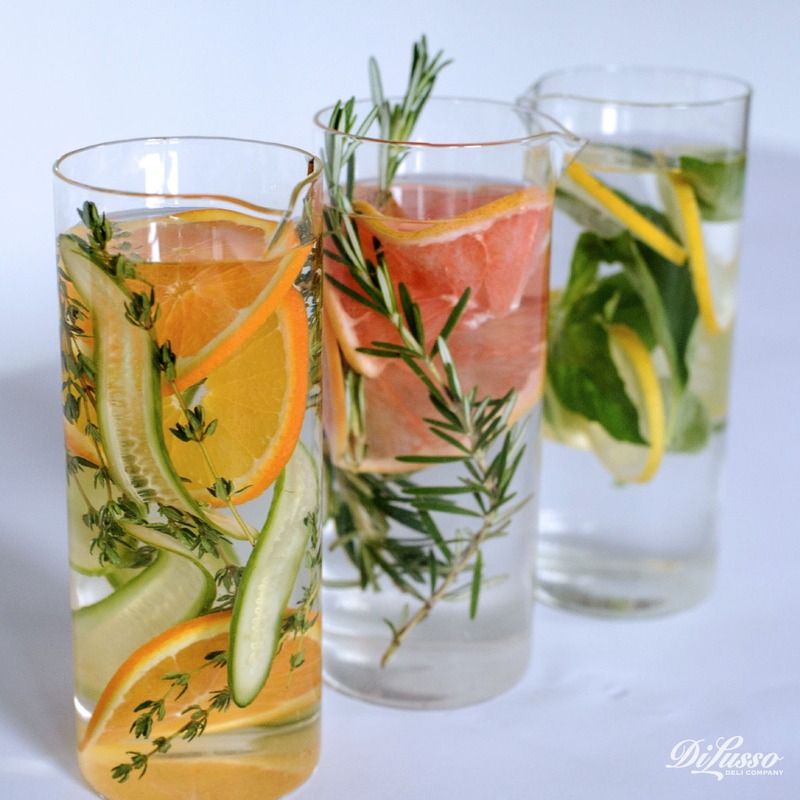 Infused waters are not only beautiful but a delicious and nutritious way to add more water into our daily regime. Just place your favorite ingredients in a large Mason jar or glass pitcher, fill with filtered or sparkling water, cover and chill for about an hour. Let the fresh produce at your market be your inspiration: Grapefruit and rosemary, cucumber and orange with thyme, and lemon and basil with jalapeño are all divine combinations. Hints of citrus bring a delicate fragrance and fresh taste of spring to what we eat and drink. 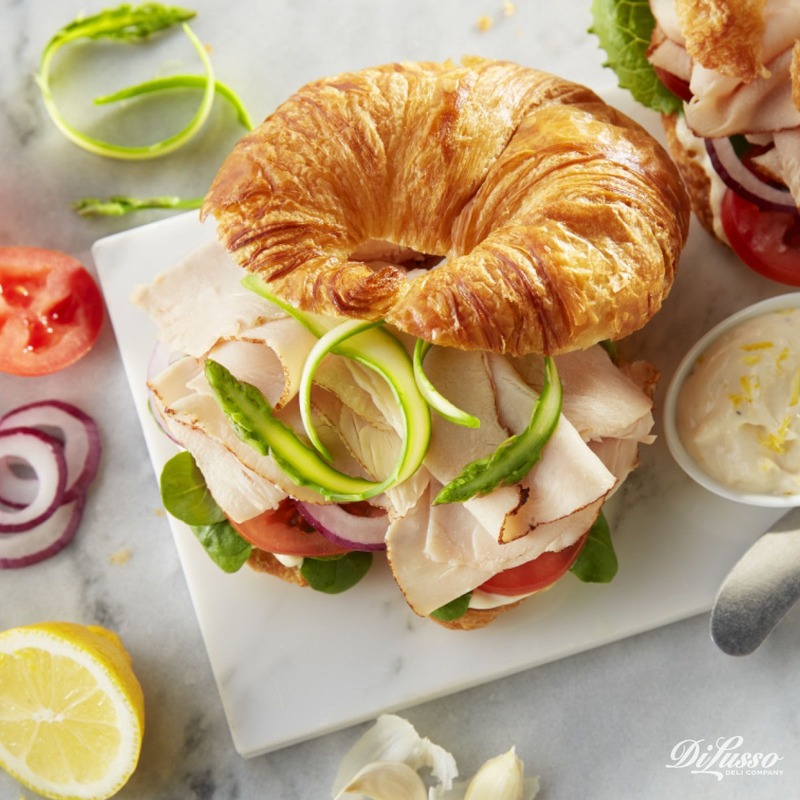 Pair a glass of lemon and rosemary infused water with our Turkey Croissant Sandwich for flavorful light lunch. The tender strips of blanched asparagus, crisp leaves of lettuce and delightful aioli made with fresh lemon zest are a perfect compliment to our golden brown turkey breast. 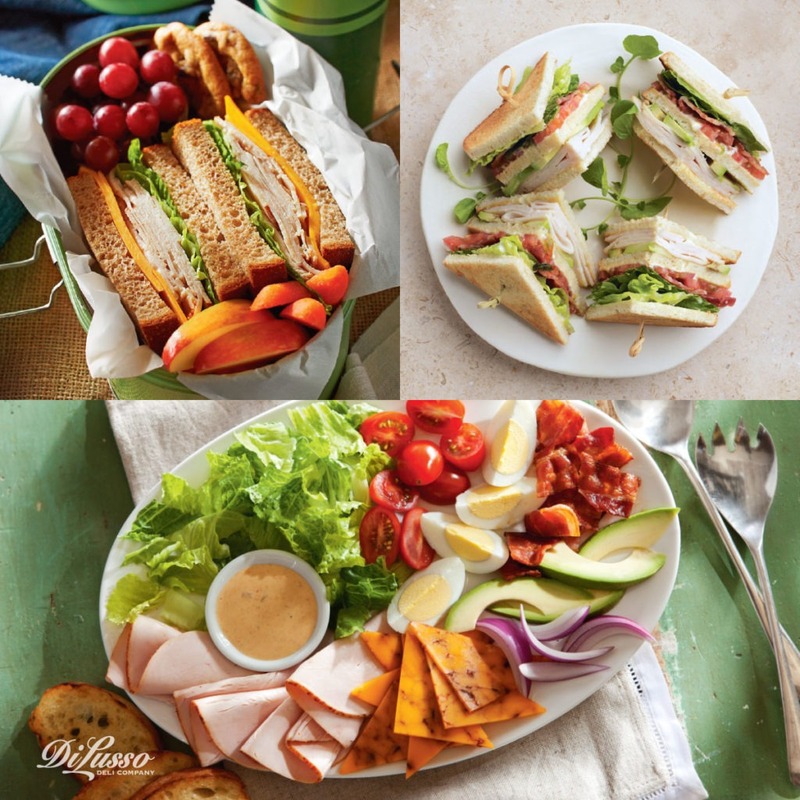 It’s a sandwich combination that brings out each and every delicate taste and texture. An impromptu picnic outside is a perfect way to spend the lunch hour. There’s something so relaxing and rejuvenating about sitting outside even for just a half hour, and everything tastes better when you’re in the sunshine. A simple bento box makes packing this Cobb Salad Platter a breeze and so easy to take with you wherever you’re headed. Leave your cell phone behind and enjoy the people watching or pack a book you’ve been meaning to start. Pack something tasty that’s easy to wrap up and toss in a small tote. Simple Turkey and Cheddar Sandwiches are perfectly portable; customize with a slice of avocado or tomato and add a piece of fresh fruit on the side. Or try the classic California Club. It’s quick and easy to put together before work with fresh, on-hand ingredients and is a great excuse to not eat at your desk. If you’re ready to go for an all-out, no holds barred picnic, here are some great tips to make the most of your first dining alfresco of the season: Pack the Perfect Picnic. As spring reawakens, we’re reminded of how beautiful but brief it is. So we’re savoring every moment of it! If you’re looking for us, we’ll be the ones enjoying our lunch outside in the sunshine.